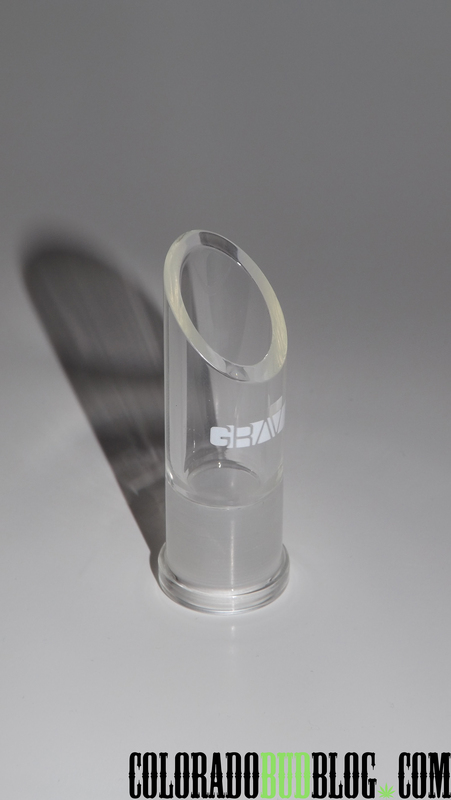 This is a 14mm Direct Inject Tree Perc Oil Tube from Grav Labs Glass. As you can see, this rig has a huge base, which is a huge selling point to me! I think a sturdy base is very important on a rig. The first thing I’m going to talk about is the joint size and placement. It is only a 14mm joint, which seems pretty small for a rig this size. Also, it is only about an inch away from the tube, and it is parallel to it, which is kind of a design flaw if you ask me. You have to be careful of where you point your torch and how close you get it to the tube because you don’t want to heat the glass! It would have been really easy to just flare it out a little. It isn’t a big deal though, I will just find an adapter for it. 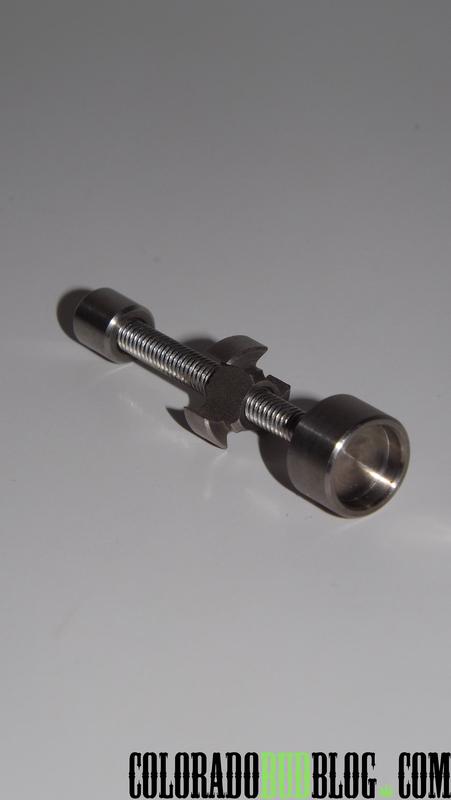 It does come with a pretty cool dome and titanium nail. 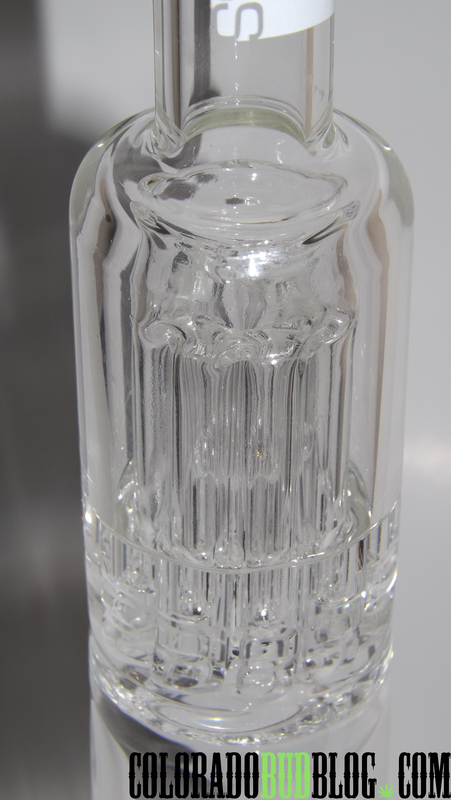 The dome is slanted, as opposed to the traditional flat topped dome, which is really helpful because you can see the nail a lot better when you are getting your dab tool in there. The next thing to talk about is the water chambers and tree perc. 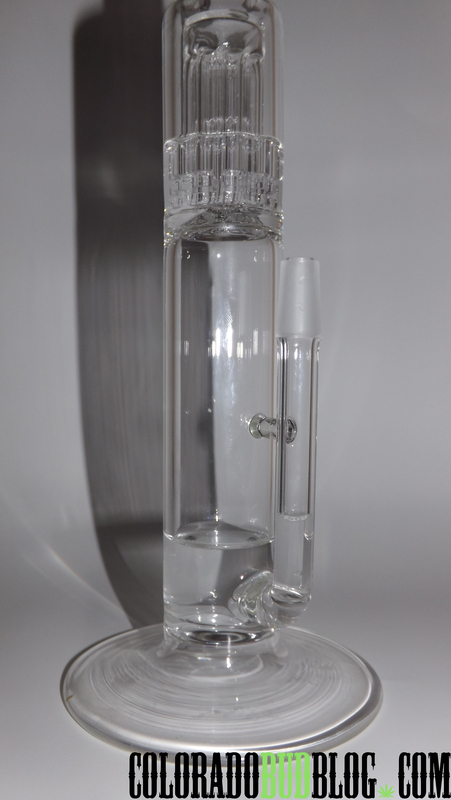 The joint is directly injected into the bottom chamber. 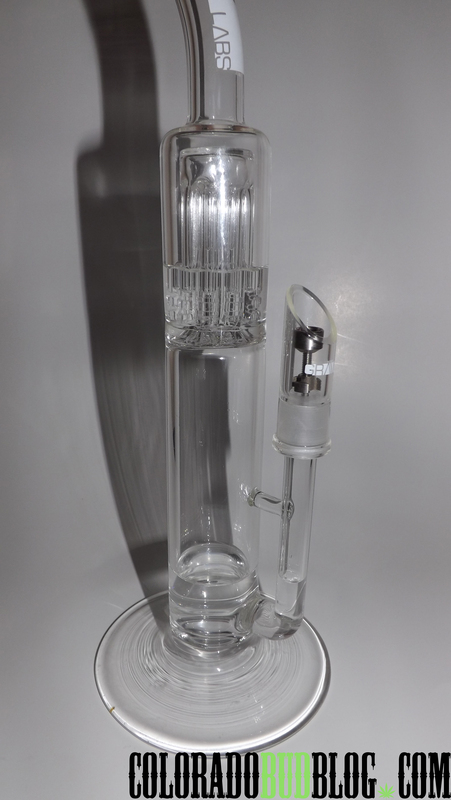 The top chamber has an 8-Arm Tree Perc, providing really smooth hits! 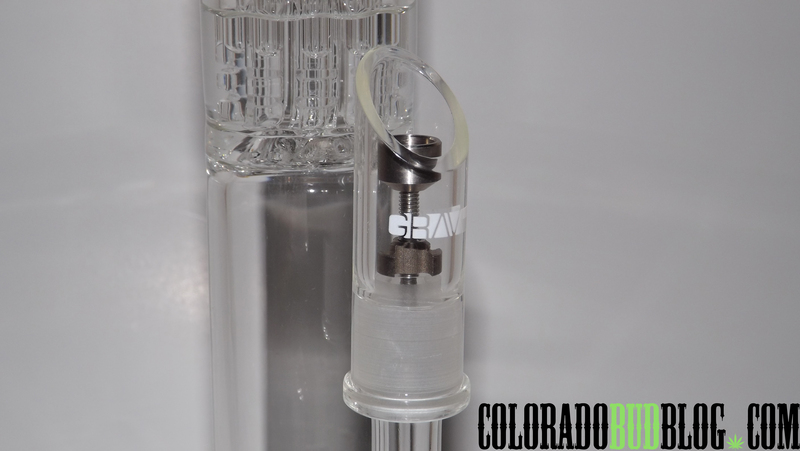 This rig features a flared mouthpiece, which fits your lips comfortably. The last thing to mention about this piece is the height: Over 15″! I’ve wanted a taller rig for a while, and this is pretty much exactly what I’ve been looking for! 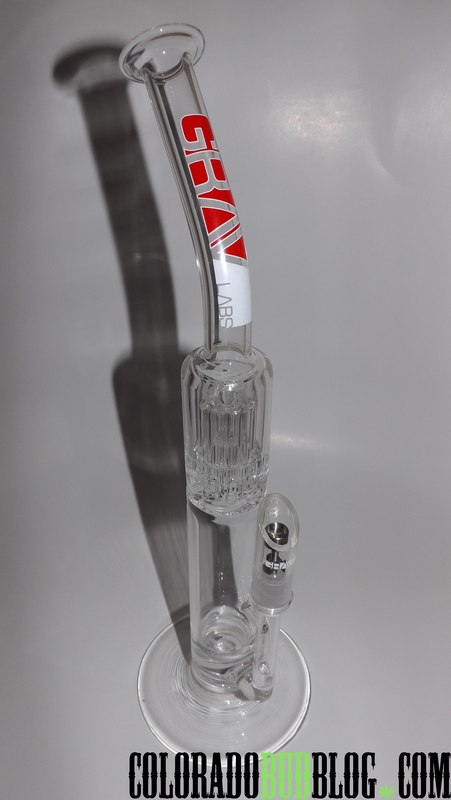 It is the perfect height and feels like a classic bong in the hand, it hits smoother than any of the other rigs I own, it has a big base so it is very sturdy, the flared mouthpiece fits your lips perfectly, and it comes with an awesome dome AND a titanium nail! 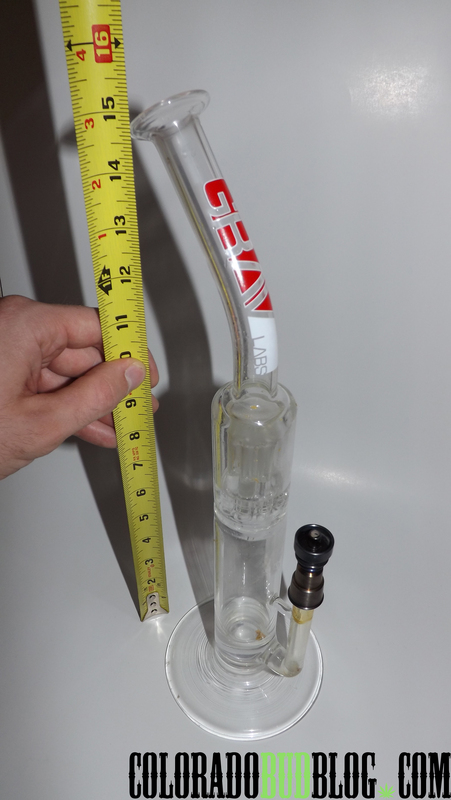 The only flaws in my mind are: the size of the joint, it is only 14mm, and the piece stands over 15″ tall, which seems too small to me; and the fact that the joint is way too close to the tube. Hopefully in the future this brand will slant all of there joints out at an angle! 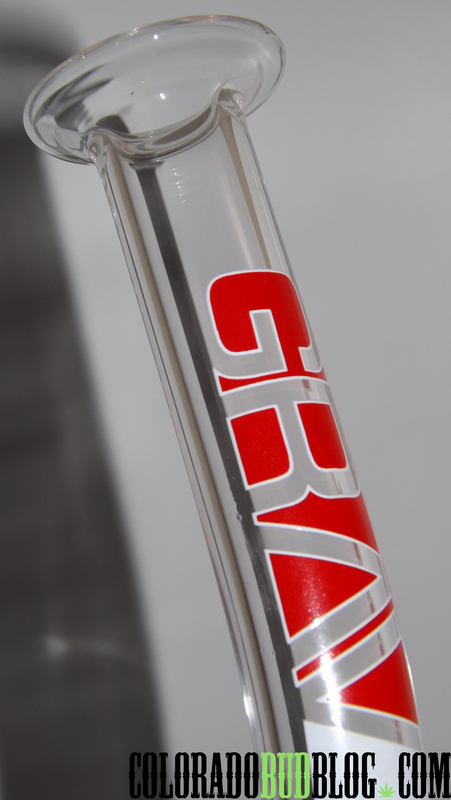 Either way, I am very satisfied with this purchase, and I’ll be keeping my eyes open for more glass from Grav Labs Glass, I suggest you do the same! Check em out online at http://www.airgravitron.com, and look for em in your local shops and centers.